Waimea Canyon looks incredible from the many viewpoints alongside Hwy 550, or alongside the few trails that follow the rim of this natural wonder. For those who want yet another “Canyon experience”, there is Kukui trail. 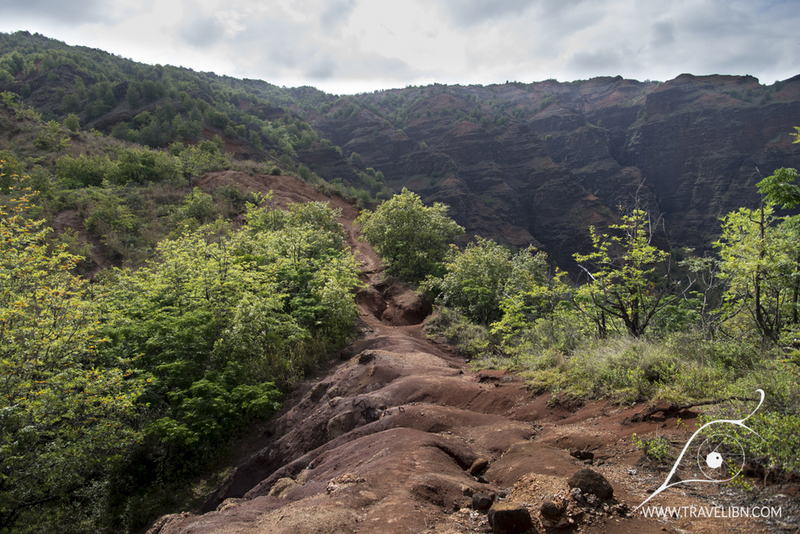 Named after the trees that grow abundant in the slopes of the canyon, Kukui trail is the only officially maintained path descending to the canyon floor and the river this canyon gets its name from. It is also one of the toughest hikes in the park, it makes 2000ft (610 m)elevation drop to Waimea River on the Canyon’s bottom in a distance of just 2.5 miles (4 km). There is little to no tree cover on most of the hike, many steep switchbacks and few spots where you walk on unstable, weathered lava rock. While going down is by no means easy, due to the steepness of the trail, going back up is a REAL workout. The prize- amazing views of Waimea Canyon interior, abundance of native flora, mountain goats minding their business on Canyon’s slopes and, as a bonus, far less crowds than on the easier hikes in the park. The trailhead is located on the side of Highway 550, ¼ mile before MM9. Kukui trail begins off a short nature trail named Iliau Nature Loop Trail, where you can identify some of the native plants growing in the region (there are signs describing each plant in details). Complete a half-loop (you can do the other half on your way back) to a sign with an arrow pointing to Kukui Trail. The first 0.5 mile of Kukui trail descends gradually and is somewhat shaded by trees growing on the side. After that, the path becomes narrower, open and generally more brutal on the knees. The gorgeous views of the canyon combined with a myriad of colorful flowers all make up for the effort and you’re not thinking about the hardship of the trail (wait for that...). Some sections are really steep, therefore a pair of hiking sticks and good traction shoes are really helpful. 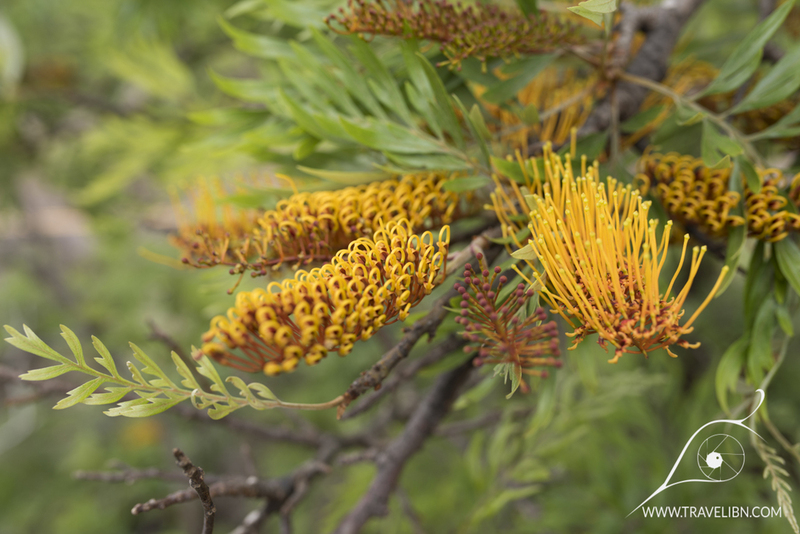 You’ll be walking on hillsides, on top of ravines, on a dried flash flood river beds until you reach the last leg of the hike, where you enter a forest dominated by Kukui trees the trail takes its name from. The trail ends at a Wiliwili campground, where you can stay for a night if you obtain a permit beforehand. It also intersects with Waimea Canyon Trail that follows Waimea River all the way to Waimea town. Take a rest by the river’s bank and prepare yourself for a long, strenuous ascend back to the Canyon’s rim. It truly is a good workout and the 2.5 miles distance seems like much more. Well, we knew what to expect going down the canyon, therefore the climb back up was bearable. We spotted some feral goats on the way back and once again got amazed with Waimea Canyon’s beauty, now even more dramatic given the late afternoon sunlight. Kukui trail is a difficult, hike and should be taken seriously. Please make sure you have enough energy for a return ascend (you don’t necessary have to complete the entire hike, best views are within first 1.5 miles of the trail anyway) and bring plenty of water as there is none during the hike (Waimea river is at the trail’s endpoint, but the water is rather nasty and should be treated with chemical and/or UV light treatment). Kukui trail is often used by hunters, therefore dress in light clothes during the hunting season. The area close to the river is ridden with mosquitoes, a repellant may be a life-saver in certain situations (those being swarms of mosquitoes trying to eat you alive). 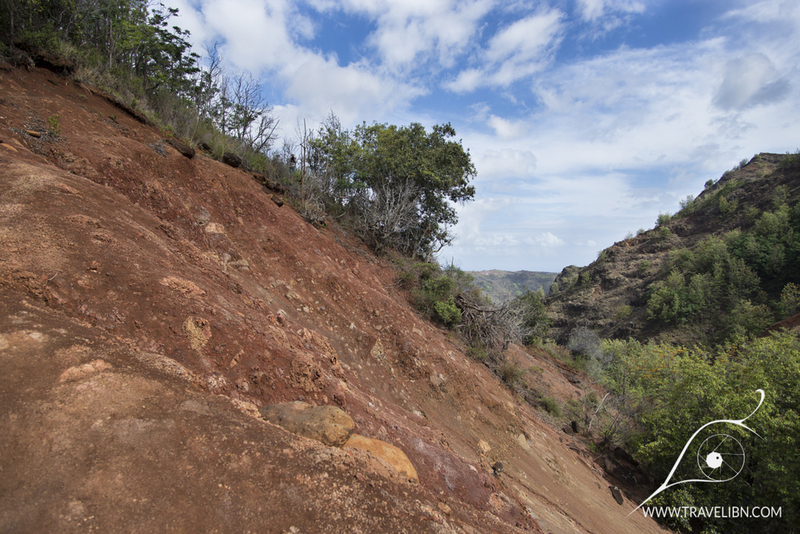 Enjoy this amazing hike safely and wear proper footwear as this is Kaua’i as it supposed to be- dirty, rugged and unpredictable!